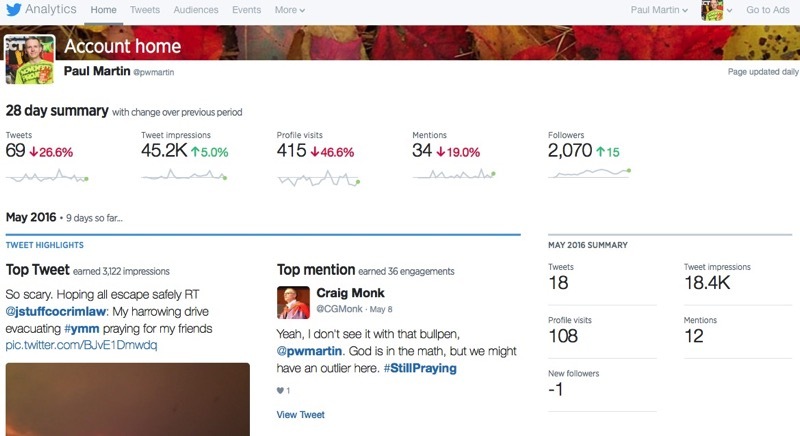 Twitter these days also offers some great analytics features that allow you to see how much reach you’ve had. It gives you monthly stats that are quite fascinating. I’ve been on Twitter since December 2006 and am Twitter user number 64113. It’s amazing to see what it’s become since I signed on 9.5 years ago.